On February 19, 2015, the RCMP laid corruption and fraud charges against Montreal-based SNC-Lavalin. The engineering and construction firm allegedly bribed government officials in Libya to secure contracts. To date, charges against two executives have been stayed because the case was taking too long to go to trial. Most recently, a Quebec court judge ruled the time set by the Supreme Court of Canada for a case to be tried had been exceeded. The case against former SNC-Lavalin Vice President Stephane Roy had been delayed 60 months which is double the established time of 30 months. Mr. Roy was charged in 2014 with fraud and bribing a foreign official. Based on an RCMP investigation, he was allegedly involved in a plot to smuggle the late Dictator Moammar Gadhafi’s son and his family into Mexico during the fall of Libyan regime. 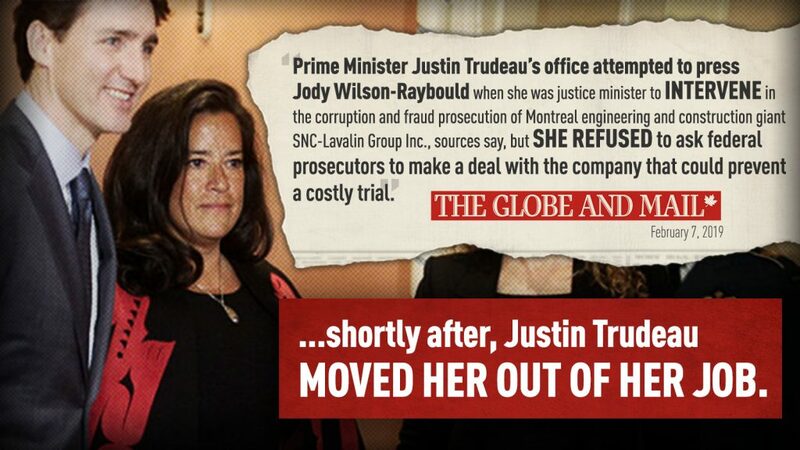 News of these charges being stayed came in the wake of Prime Minister Trudeau’s continued refusal to lift client-solicitor privilege so former Justice Minister and Attorney General, Jody Wilson-Raybould, could “speak her truth”. Since February 7th, when the Globe and Mail newspaper first reported that anonymous sources revealed staff in the Prime Minister’s office attempted to pressure Ms. Wilson-Raybould, the Opposition has been trying to undercover the truth. On February 20th, in Question Period, the Leader of the Conservative Party, Andrew Scheer, repeatedly asked the Prime Minister to come clean about allegations that the Prime Minister’s Office pressured the former Attorney-General to intervene in the criminal prosecution of SNC-Lavalin. The Prime Minister doubled-down on the Liberal cover-up by refusing to answer simple questions. The Liberals also used their majority to defeat an NDP opposition day motion that called for the Prime Minister to waive solicitor-client privilege and to launch a public inquiry into the SNC-Lavalin affair. Conservative MPs supported the NDP Motion, along with Liberal MPs Nathaniel Erskine-Smith and Wayne Long. Court documents obtained by the Globe and Mail show that federal prosecutors had already rejected a settlement with SNC-Lavalin Group Inc. nearly two weeks before Justin Trudeau spoke with then-Attorney General Jody Wilson-Raybould about the matter last fall. Mr. Trudeau has repeatedly said he told Ms. Wilson-Raybould in a Sept. 17th, 2018 conversation that the decision on the SNC-Lavalin prosecution was hers alone to make. What he failed to reveal is that they had in fact spoke two weeks after the Sept. 4th Public Prosecutor’s decision. The only remaining question at that time was whether Ms. Wilson-Raybould would instruct prosecutors to reverse their decision and offer SNC-Lavalin a deferred prosecution agreement, which would result in fines as opposed to criminal prosecution and a 10-year ban on bidding on federal government contracts. 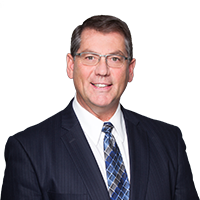 The use of deferred prosecution agreements is relatively new in Canada and is a measure that was not properly vetted and debated by the Justice Committee. Rather than make this Criminal Code amendment through a Justice piece of legislation, the Liberal government chose to put it at the end of the 500-page omnibus Budget Bill last Spring. During deliberations on the Budget Bill, Conservative MPs on the Finance Committee, as well as the Liberal Chair of the Committee, questioned why it was there. The answer to that question has only recently come to light – after over 50 meetings with the PMO and others, SNC-Lavalin was successful in their lobbying efforts. Those efforts and hopes however, were dashed by the independent Public Prosecutor who decided against such a settlement. The alleged interference of the PMO to pressure the former Attorney General to direct prosecutors to potentially reverse criminal prosecution decision is a scandal of huge portions if proven to be true. As this country is founded on the principle of the rule of law, we need to know whether the Liberal government broke the rules.